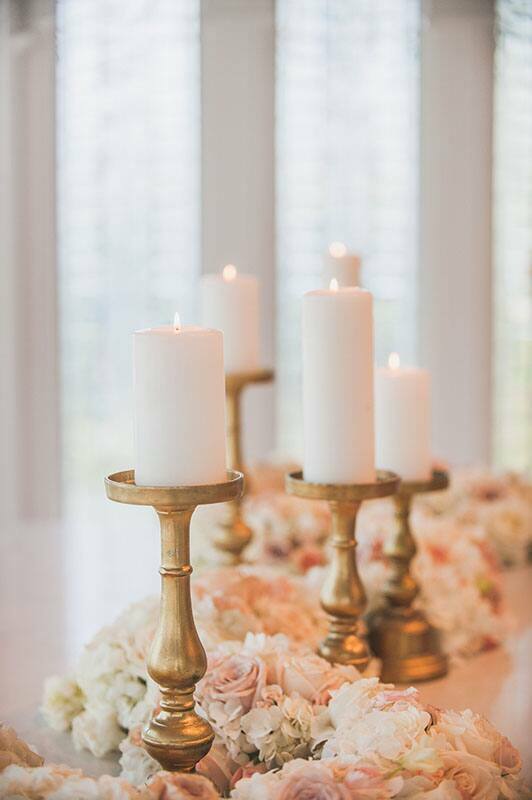 You might have seen this amazing look in our Freeform TV Special! 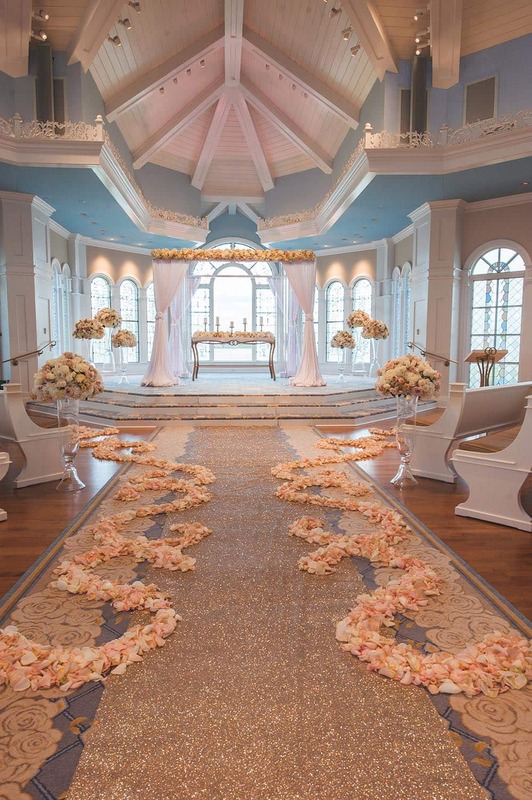 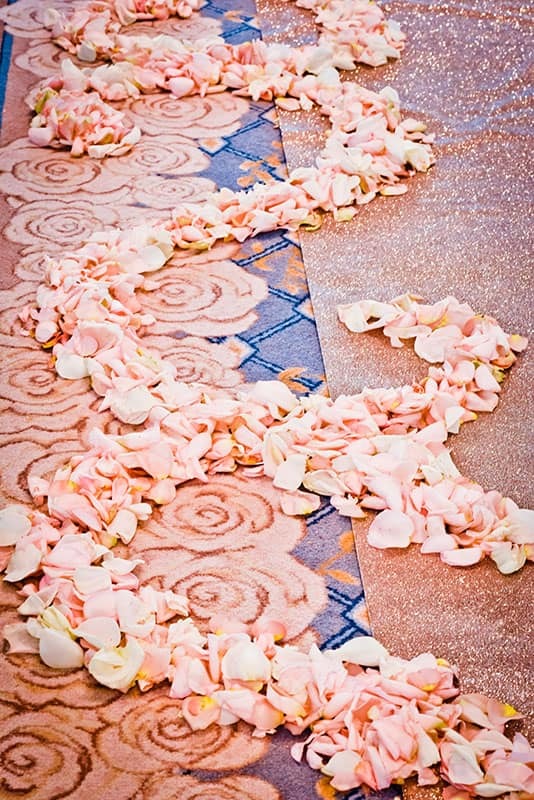 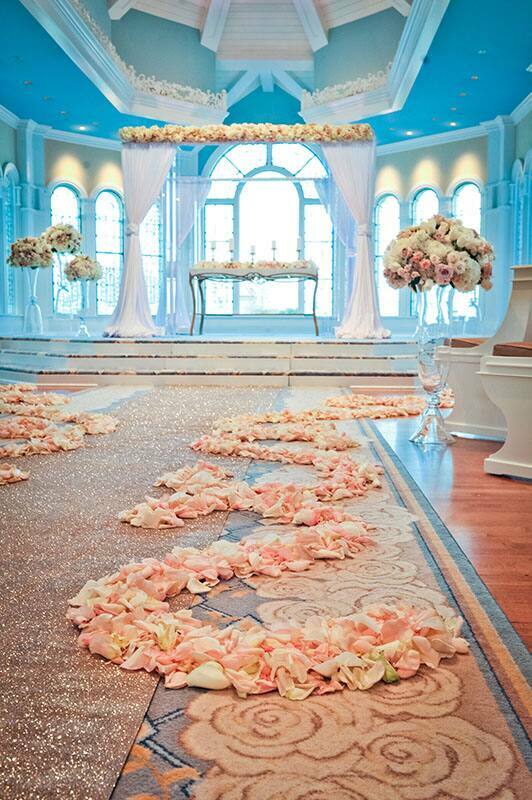 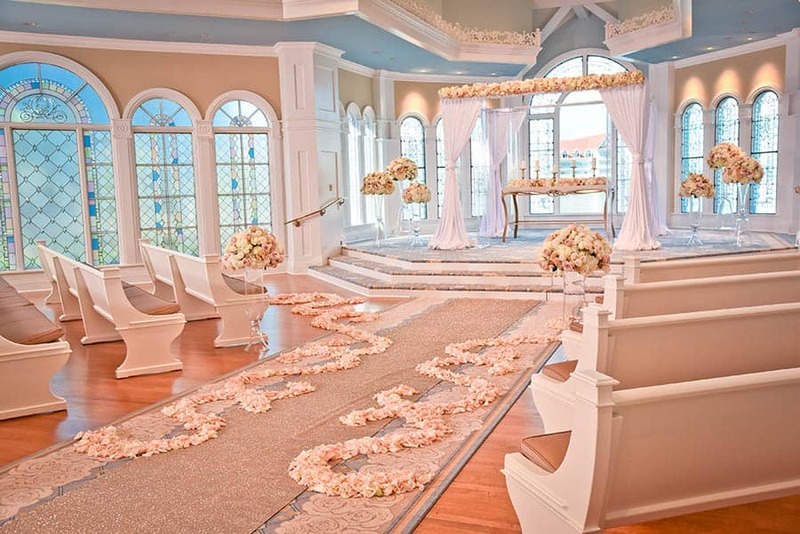 I am so in love with the glittery aisle runner. 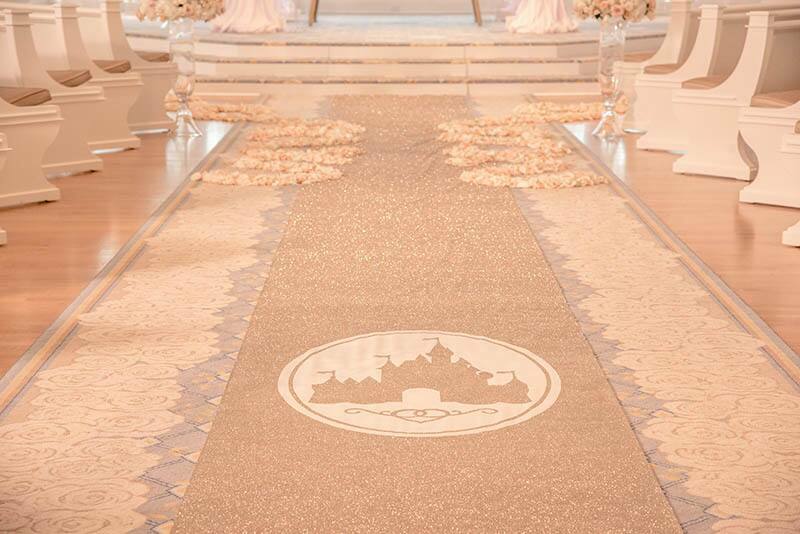 Check out the video to see how it truly sparkles. 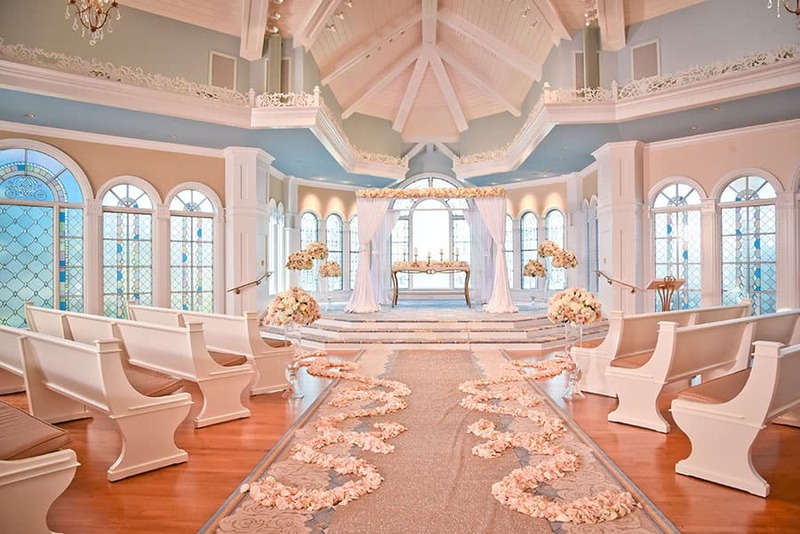 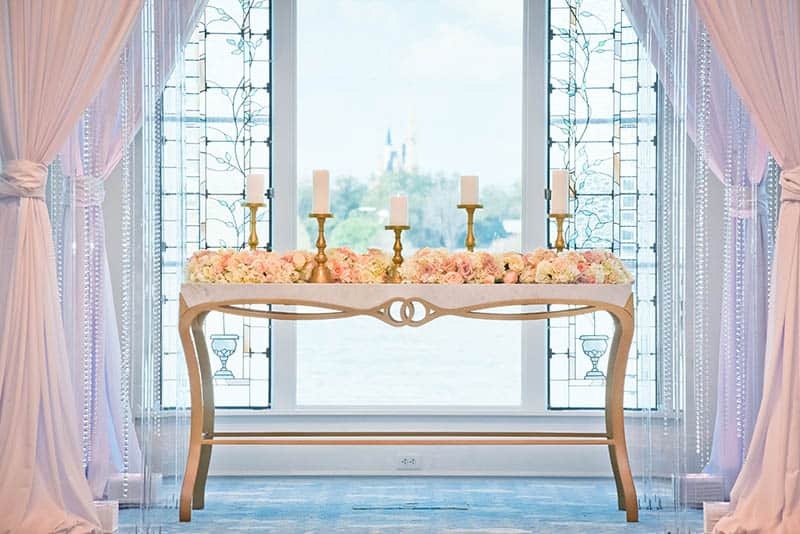 From those brilliant petal swirls to that acrylic arch with chiffon draping, Disney's Wedding Pavilion is full of pure "romance". 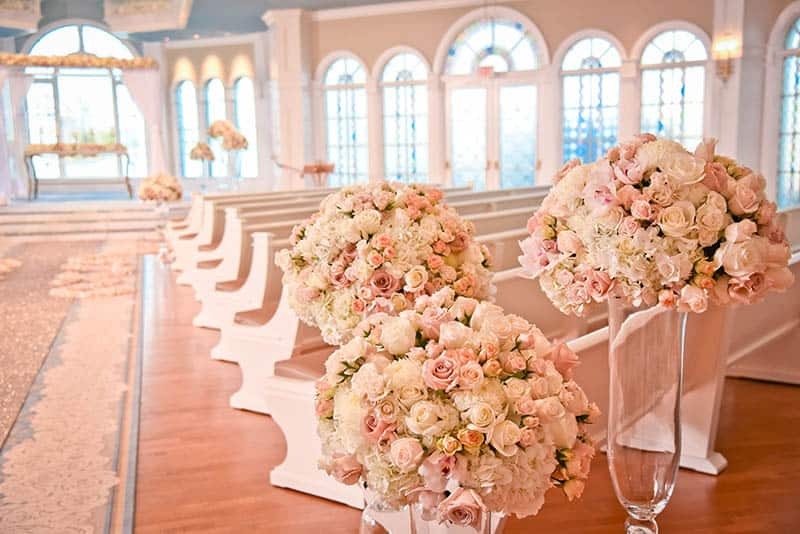 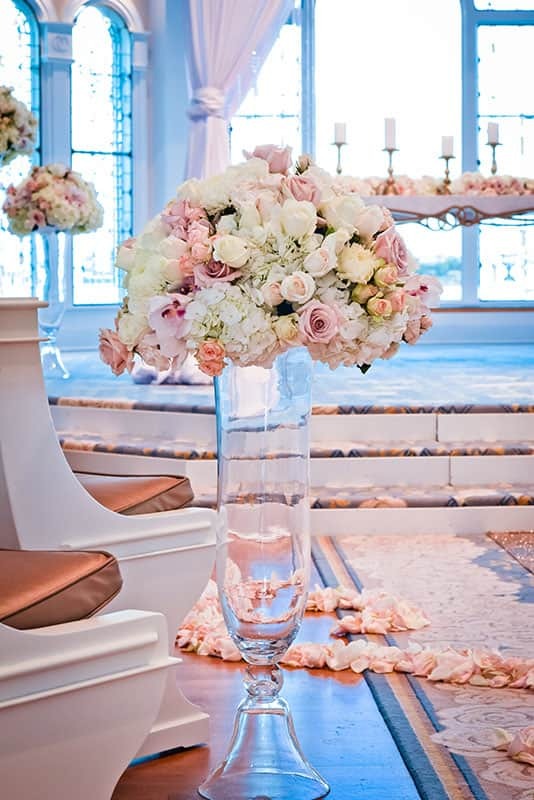 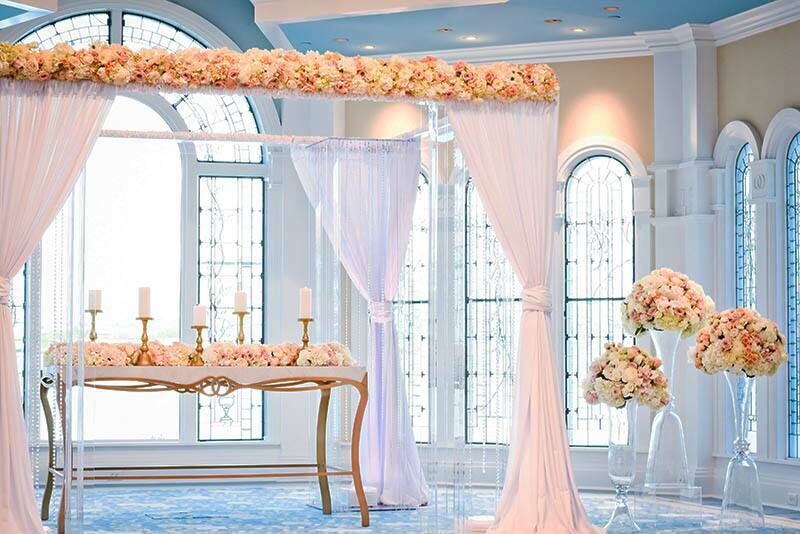 The blush colors fit perfectly with the subtle blues in the venue and would work well with any color palette.